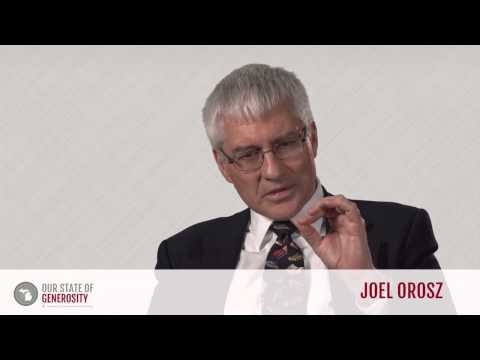 Dr. Joel J. Orosz skillfully nurtured, funded, advised, led, and implemented the development of Michigan’s philanthropic infrastructure from his position as program director of philanthropy and volunteerism at the W.K. Kellogg Foundation. The Council of Michigan Foundations, already a mature organization, benefited from his handling of the complex, multi-year, state-wide, multi-million challenge to build community foundation services across Michigan. 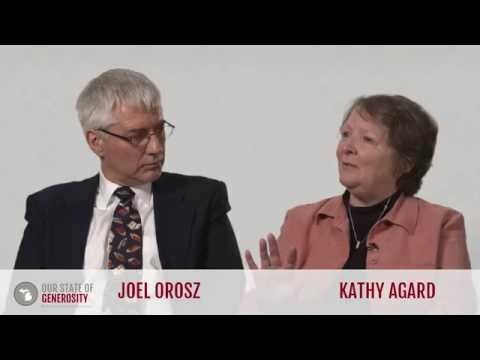 Reflecting on his grantmaking career, Dr. Orosz founded, developed the curriculum, and implemented a national grantmaker education program called The Grantmaking School. 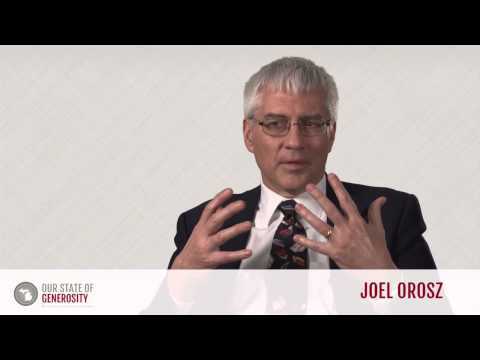 As a long-time reflective practitioner, author, and professor in the field of philanthropy with deep roots in Michigan, Dr. Orosz is the highly qualified managing editor for the project that seeks to capture the lessons learned in Michigan over the past 40 years – Our State of Generosity. 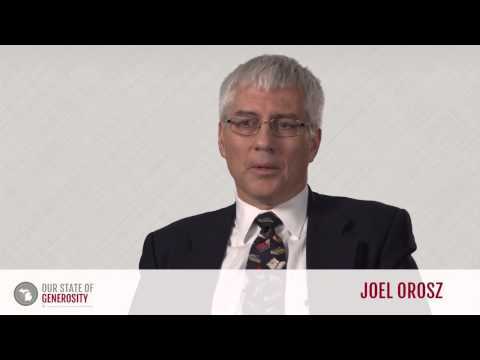 Dr. Joel Orosz talks about his career in philanthropy. Dr. Joel Orosz talks about how Russ Mawby and Dottie Johnson encouraged a culture of cooperation in Michigan philanthropy. Dr. Joel Orosz talks about the impetus and history of the Michigan Community Foundations' Youth Project (MCFYP). Dr. Joel Orosz talks about the importance of letting local leadership take ownership of a project and apply principles in their own way. 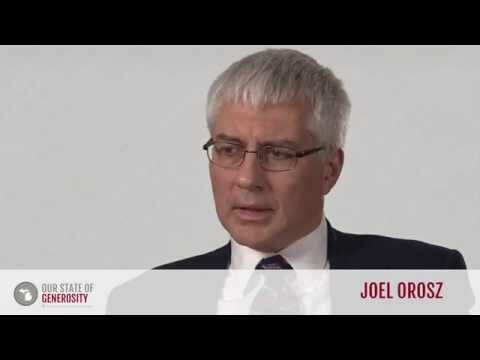 Dr. Joel Orosz talks about how being a philanthropic leader means being a good listener. Dr. Joel Orosz talks about how the building of underlying infrastructure nurtured the growth of Michigan's philanthropic sector. 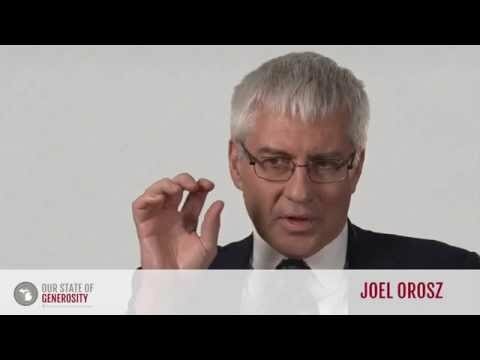 Dr. Joel Orosz talks about how philanthropic leaders must strike a balance being passive and being aggressive about following their own vision. 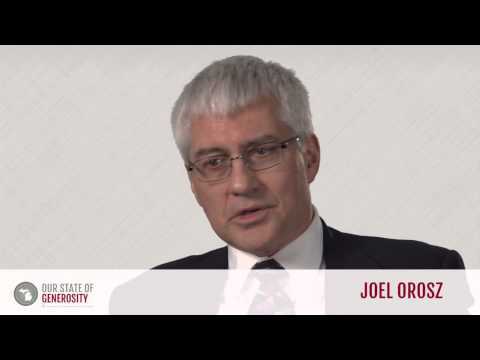 Dr. Joel Orosz talks about how MCFYP's success came from its roots in local leadership. 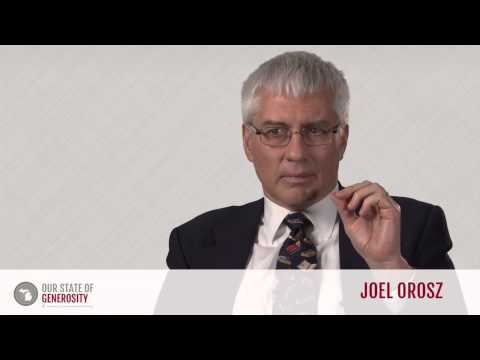 Dr. Joel Orosz talks about his concerns for the field of philanthropy. 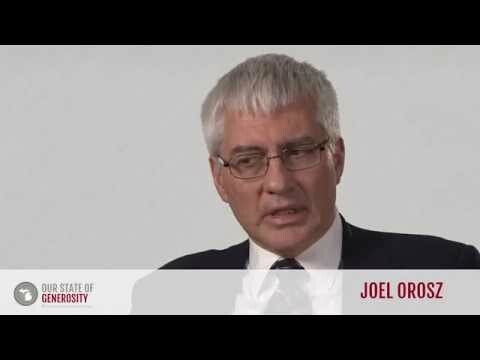 Dr. Joel Orosz talks about why learning about Michigan's philanthropic history is so important. 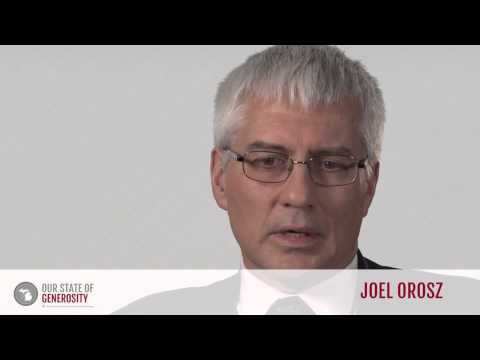 Dr. Joel Orosz talks about the development of the Foundation Information Management System (FIMS) to keep community foundations across the state organized. 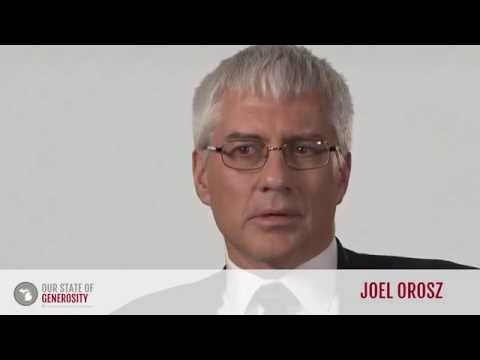 Dr. Joel Orosz talks about how important flexibility was in collecting challenge grants for the Michigan Community Foundations' Youth Project (MCFYP). 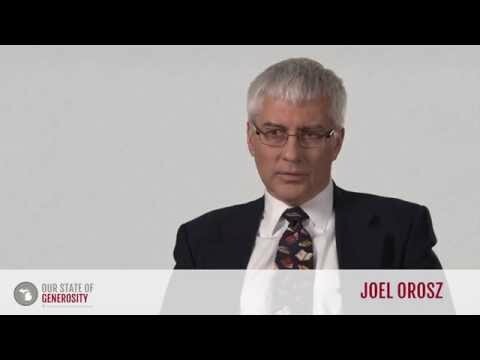 Dr. Joel Orosz talks about both the impetus and initial resistance to the Michigan Nonprofit Association (MNA). 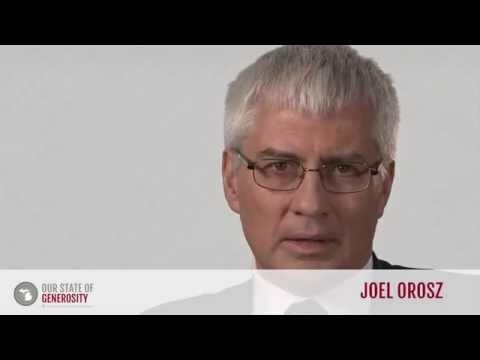 Dr. Joel Orosz talks about the importance of grantmaker education and the development of The Grantmaking School. 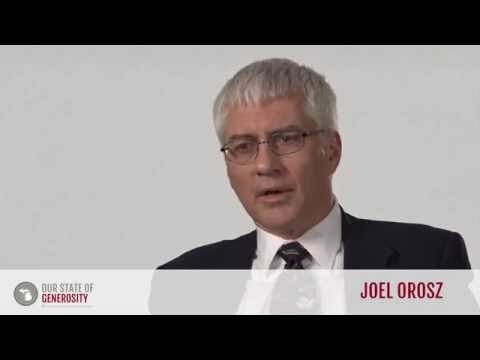 Dr. Joel J. Orosz received his Bachelor of Arts in history from Kalamazoo College in 1979. He earned his Master of Arts in history and museum studies, as well as his doctoral degree in U.S. social history, from Case Western Reserve University. Dr. Orosz’s first experience with philanthropy came as a grantee during his tenure as a curator at the Kalamazoo Valley Museum. Following his work at the museum, he became the executive assistant to Chief Executive Officer and Chairman of the Board Dr. Russell G. Mawby at the W.K. Kellogg Foundation in 1986. This position provided the opportunity to be mentored by Mawby and observe the scale of, and vision for, Michigan philanthropy. Upon the untimely death of his direct supervisor and additional mentor, Dr. Peter Ellis, Dr. Orosz was promoted from his role as executive assistant to the grantmaking responsibilities for the Kellogg Foundation’s portfolio in philanthropy and volunteerism. Dr. Orosz served a total of 15 years at the W.K. Kellogg Foundation as executive assistant and as program director for philanthropy and volunteerism programming from 1986 to 2001. During his time at the Kellogg Foundation, Dr. Orosz was instrumental in making grants and providing personal leadership to create key pieces of Michigan’s nonprofit infrastructure, including the Dorothy A. Johnson Center for Philanthropy, the Michigan Nonprofit Association, the Michigan Community Service Commission, the ConnectMichigan Alliance, the Volunteer Centers of Michigan, and the Michigan Campus Compact. As a grantmaker and a program director, Dr. Orosz helped guide the development for all six of these organizations, which have become pillars in the Michigan philanthropic community, and models replicated nationally and internationally. In addition, Dr. Orosz served as the lead grantmaker from 1989 until 2001 for the $65+ million innovative Michigan Community Foundations’ Youth Project (MCFYP), which created 23 new community foundations in Michigan, 86 permanently endowed Youth Advisory Councils, and brought full community foundation coverage to every person in the state. MCFYP was groundbreaking in not only jump-starting youth philanthropy, but also in encouraging unprecedented rates of community engagement with their matching grant strategy. Dr. Orosz has served on numerous local, state, and national boards including: chairing the National Council on Foundations’ committee on legislation and regulations; serving on the advisory committee of the Points of Light Foundation; serving as a charter commissioner (1991–1999) of the Michigan Community Service Commission; serving on the public policy committee of the Council of Michigan Foundations; and serving as a member of the national content advisory committee of Learning to Give. During his time as a grantmaker, Dr. Orosz was deeply involved in advising, supporting, and consulting on virtually all of the major initiatives supporting the field of philanthropy both in Michigan across the nation. “I think the thing that is most important to learn is that in the ahistorical nature of our field, most people, especially in foundations, think that history began the day they walked in the door. The most important thing to know is that the Michigan story is not the typical story. Most areas have a weak regional association of grantmakers, if they have one at all — a lot of areas don’t. Most states have weak nonprofit associations, if they have one at all — many still don’t. The Community Service Commissions vary in quality all over the map, ours is a particularly good one. Most places don’t have a Center for the Study of Philanthropy in the local university. He is a fellow of the American Numismatic Society and a member of the Rittenhouse Society, both scholarly organizations in the world of numismatics (coin collecting). 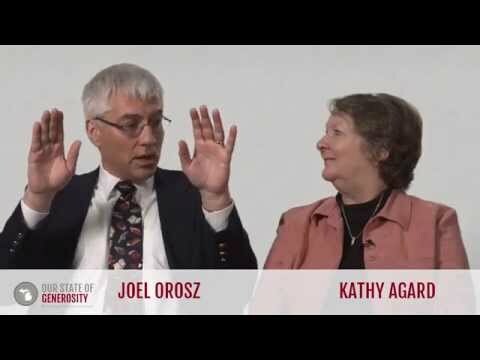 Dr. Orosz has written seven books and edited another on the topics of museums, numismatics, and philanthropy, including: The Insider’s Guide to Grantmaking: How Foundations Find, Fund, and Manage Effective Programs; Effective Foundation Management: 14 Challenges of Philanthropic Leadership — and How to Outfox Them; and For the Benefit of All: A History of Philanthropy in Michigan. 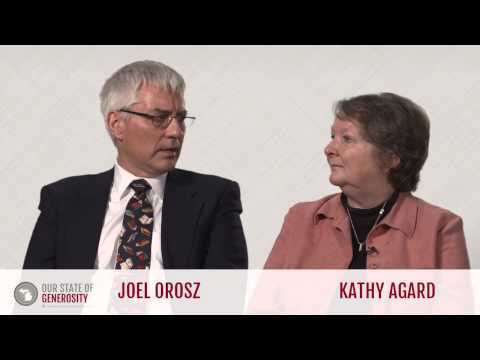 Dr. Orosz was interviewed regarding his insights and experiences in working with Michigan’s philanthropic community and the Our State of Generosity (OSoG) partners. The following are selected quotations from his interview specifically related to the five organizing themes of the OSoG project.